An interesting new paper published by economists at the Federal Reserve Bank of New York demonstrates the important role downpayment and wealth constraints play in shaping housing demand, particularly for lower-income homebuyers. Using survey data, the authors (Andreas Fuster and Basit Zafar) employ a strategy to measure housing demand impacts that contrasts with the often-used, user-cost model of housing in prior studies. Under the user-cost model, a market equilibrium of housing rents and prices is determined by downpayment size, individual future discount rates, the after-tax mortgage interest rate (net of the mortgage interest deduction), property taxes, maintenance costs, insurance and future growth in rents. Calibrating this model allows a range of estimates that measure impacts in housing demand given market or policy changes that alter financing circumstances and requirements. In contrast, the authors’ approach uses data from the Federal Reserve Bank of New York’s Survey of Consumer Expectations to measure homebuyers’ willingness to pay for a home under different downpayment, mortgage interest rate, and non-housing wealth scenarios. 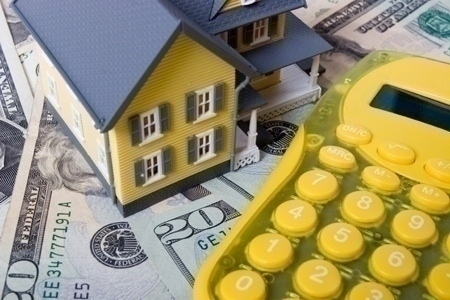 The report’s empirical results find that homebuyers are less price-sensitive to changes in mortgage interest rates than the user-cost model would suggest. For example, the survey estimates suggest that a 200 basis point change in mortgage interest rates would have a 5 percent impact on housing prices in terms of willingness-to-pay. Interestingly, the results also show that prospective homebuyers with less wealth (notably renters) possess significant increases in willingness-to-pay under lower downpayment requirements. In particular, according to the survey the willingness-to-pay for a home purchase for renters increases 40 percent when downpayment requirements are lowered from 20 percent to 5 percent. This result implies that regulatory policy that targets loan-to-value mortgagequalification requirements will have the largest impacts on the most credit-constrained buyers, in particularly younger renters with lower wealth. A third impact is the effect generated by access to non-housing wealth. The data indicate that, as an experiment, a $100,000 increase in non-housing wealth increases willingness-to-pay by 10 percent on average, although again the effect is much larger (four times so) for renters. The paper’s empirical results once again highlight the importance that mortgage qualification requirements (economic- and policy-determined) have on housing demand, particularly at the lower-end of the housing market. While income and mortgage interest rates are clearly important demand-side factors, current market weakness exhibited among first-time buyers is also due to tight mortgage qualification requirements and access to non-housing wealth. Rising home prices and household balance sheet repair have certainly helped the economy over the last few years, but this positive impact has not had much effect for renters and younger households.